Transform a traditional tailgating snack into a sophisticated and delicious dish with this buffalo chicken bake recipe. Mix all your favorite savory ingredients such as Barilla Creamy Alfredo sauce, rotisserie chicken, mozzarella cheese, and buffalo sauce to create a party-perfect bake. Prep ahead for party time with this easy slow cooker recipe! 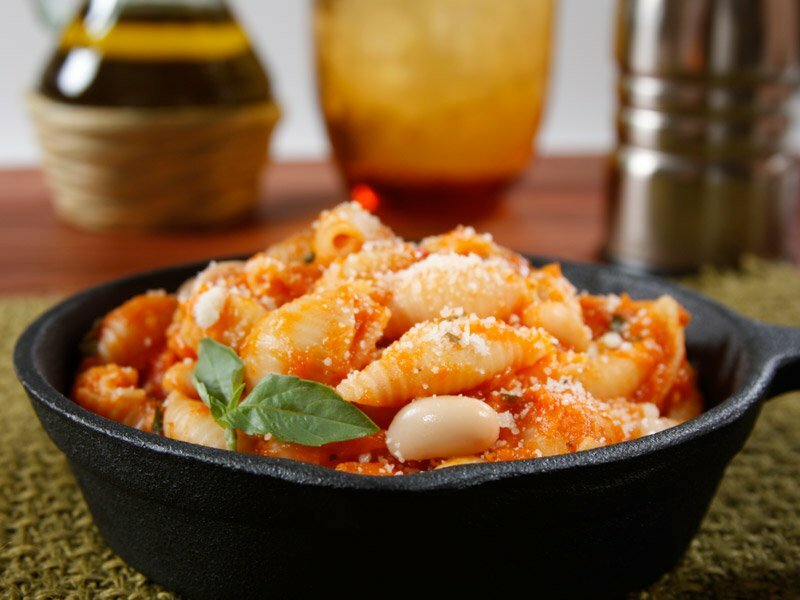 Combine Barilla Spicy Marinara and squash and cook for 8 hours, completing the dish with shells, white beans, and basil for a flavorful (and simple!) meal. A classic never goes out of style, especially during party season. Impress your loved ones with an oven-ready lasagna, prepared with the classics: Barilla Traditional Sauce, fresh basil, and mozzarella. This meatballs and orzo skillet meal made with Barilla Chunky Traditional Sauce is a guaranteed guest favorite! Featuring bold flavors and hearty veggies, it’s a win-win for seasonal get-togethers.